Combine all of the above into a blender and combine until smooth. Top with a nut blend or some fresh coconut. If you are like me, you hear a lot of hype about acai. 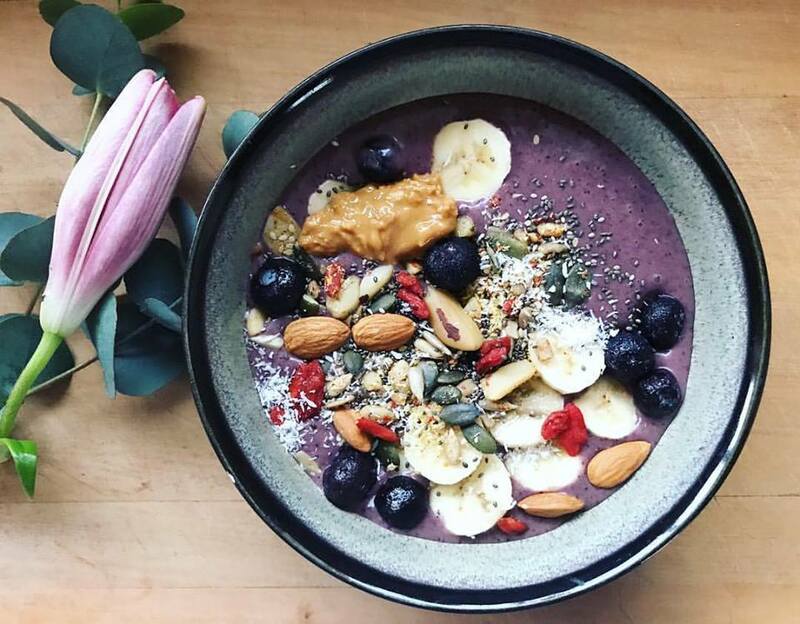 Acai bowls seem to be everywhere, well at least all over instagram. Because I am often searching for healthy, nutritious recipes, the acai bowl features heavily. So what is acai? It is a berry found in the Amazon (sounds exotic already) and is deemed a superfood because of the myriad of wonders it does. The benefits boast aiding digestion, promoting skin health, boosting your immune system, helping your heart and has anti ageing effects. Plus, hell, it's purple. Say no more - I'M IN! With all this in mind, today I decided to make my own Acai Bowl. It was a hit (with me) and I'm pretty sure Acai will become a regular superfood in our household. First up you are going to need some Acai Powder. I opted for an organic powder by Goodhealth, which is stocked at my local small town pharmacy. I played around for a little while today to see what worked, and came up with a really delicious bowl for lunch. Feel free to play around and put your favourite toppings on, be your own experiment and enjoy! 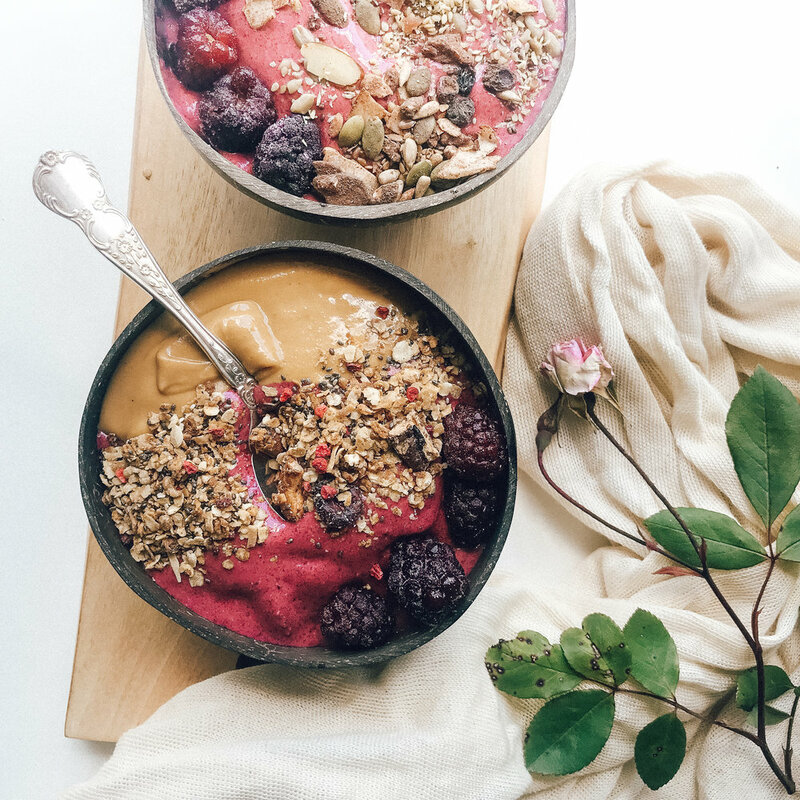 In my very short Acai Bowl career I have learned that for a successful bowl, you need a creamy, thick smoothie base and some nice textures on top, think crunch and texture. Pour into a bowl and then have some fun decorating! More nut butter if like me, you love it! 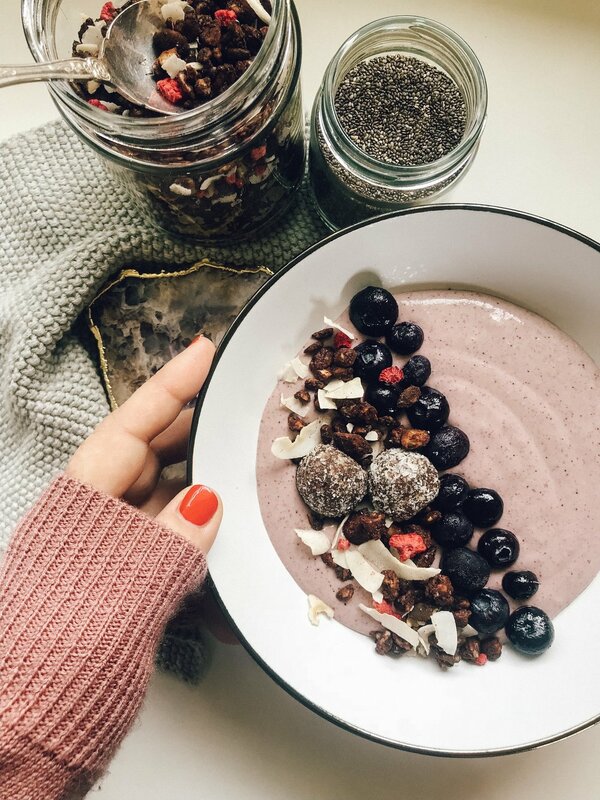 Let me know if you have a favourite acai bowl recipe, I'd love to see how everyone uses this wonderful superfood. ohhhhh what to say. I love chocolate, and I love banana. I recently had an epic choc banana protein shake out and decided to recreate at home. It has become one of my fave go to's! You can use vanilla protein or chocolate. I don't have chocolate in the house, so I use cacao to create the chocolately goodness. If not thick enough, add more ice and get it tasting super creamy and just like a chocolate thickshake! Blend until completely smooth & top with some coconut shavings and cacao nibs for some crunch.